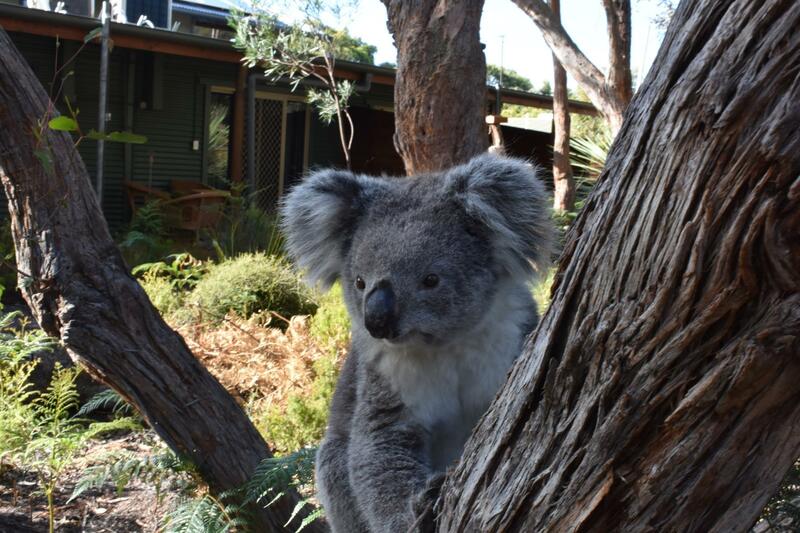 يقع Kangaroo Island Wilderness Retreat Resort في Karatta, جزيرة كانجارو, هو خيار شائع بين المسافرين. يمكن من هنا للضيوف الاستمتاع بسهولة الوصول إلى كل ما تقدمه هذه المدينة النابضة بالحياة. بالنسبة لمن يريد الخروج، هذه بعض المعالم السياحية المتوفرة للزوار فلندرز شاس. 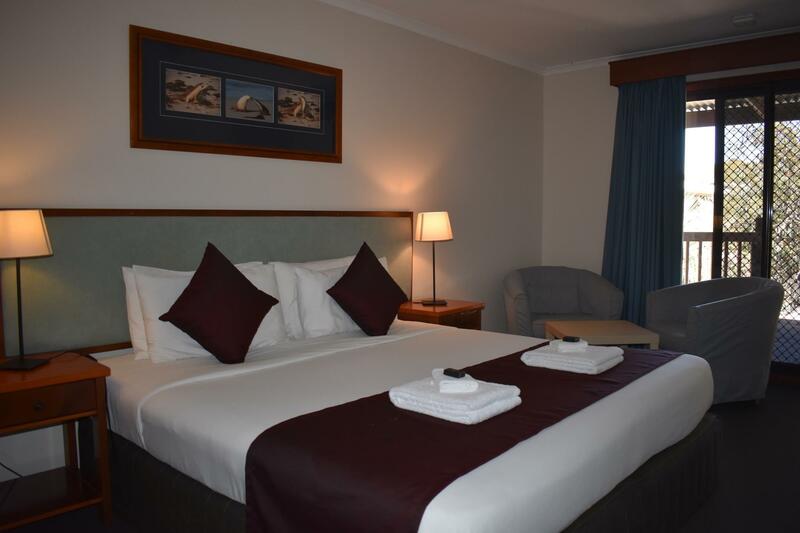 يعمل Kangaroo Island Wilderness Retreat Resort على ضمان إقامة مريحة لضيوفه من خلال خدماته الممتازة وحسن ضيافته. يمكن للنزلاء الاستمتاع بالميزات التالية: مرافق مخصصة لذوي الاحتياجات الخاصة, تسجيل وصول/خروج سريع, تخزين الأمتعة, واي فاي في المناطق العامة, صف السيارات أثناء إقامتهم في هذا المكان الرائع. يمكن للنزلاء الاختيار من ضمن مجموعة من الغرف المصممة بعناية لتعكس جواً من الراحة، والتي يتجاوز عددها 33. يقدم الفندق مجموعة واسعة من وسائل الراحة المتنوعة، كمثل: حديقة. إن Kangaroo Island Wilderness Retreat Resort هو خيار ذكي بالنسبة للمسافرين إلى جزيرة كانجارو، بما يوفره من إقامة هادئة ومرحة. Our room was in the eco-lodge. Refrigerator, but no microwave or any type of cooking facilities. There is a barbeque grill on the grounds where you can use or fill water. Front desk staff uninterested. Fairly worn rooms and furnishings. They pride themselves with being eco friendly with newer solar panels. Water is scarce on island and their tap water is rain water which may not be to everyone's satisfaction. Bottled Water is available for purchase at front desk. Wi-Fi works only in lobby. The free night nature walk is superb and worthwhile attending. It's not luxurious, but they don't claim to be a luxury hotel. The location gives easier access to many beautiful sights. The resort itself is a little run down and is dire need of a refresh. The rooms are small, dark and pokey. The staff were not very helpful although the 'backpackers' serving int he restaurant did make an effort. Although this probably came from their own experiences not necessarily trained by the resort. Dinner is between 6:30 and 8:30. you have to book a slot. Trying to work in a dinner around a sunset at one of the beautiful locations around was difficult. Staff were unresponsive to emails and phone messages. We stayed in another accomodation on KI for 3 nights for the same price as 2 nights at the resort and was 10 times better. Very convenient to the beautiful Flinders Chase Park. If you want to day hike and be early enough to see all of the animals or walk any trail privately, thus is perfect. The restaurant is quite good as well, so you can sit tight for meals. It’s very quiet and remote and has nice trails on the property. This was a great bush stay for us! Perfect location -- at the west end of the island and right in the heart of what many of us travelers go to KI for: Remarkable Rocks and wildlife. Just be ready for the long drive back to the ferry..... The restaurant staff, in particular, worked hard to make everyone happy. 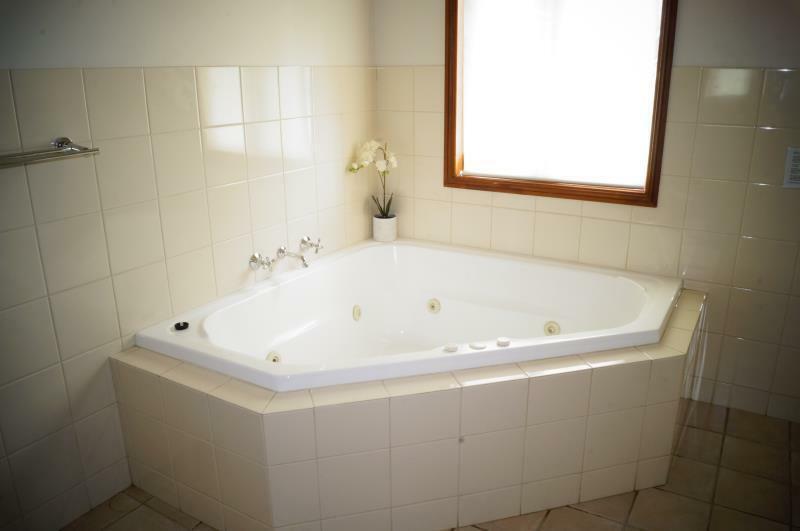 pro: close to Flinders chase national park, and the wildness. cons: poor internet connection and mobile phone reception. 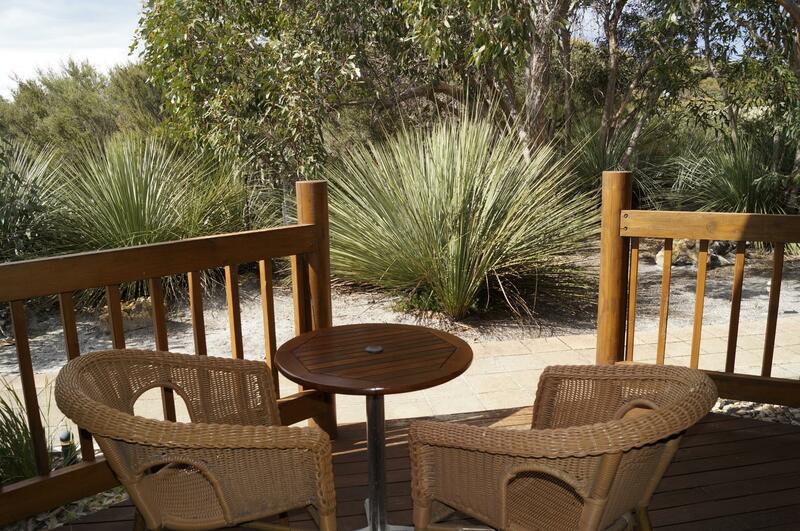 Great location, relaxing setting, the bush right at your back patio. Night walk with "Nature" was terrific. Petrol tank on site is a big plus since resort is located many kilos from civilization, but right next door to the National Park. Food was excellent, but expensive and very small portioned. No wifi in room, only (limited) access in lobby area. Been in the hotel twice within a year. Once with my parents in family room, the other with my BF in a standard room. The family room even got a kitchen and living room. The food is fantastic. It will be better if the hotel could provide more drinking water and TV signal. This place cost a bomb to stay in. The room was clean but the king size bed was two singles put together hence when you rolled into the middle you went down a whole. The building just seemed tired and shabby. The staff did not go out of their way to help or suggest things. The restaurant was like eating in a school canteen and so over priced. The food was over cooked and dry. The heater in the restaurant had seen much better days and consequently the room was cold. 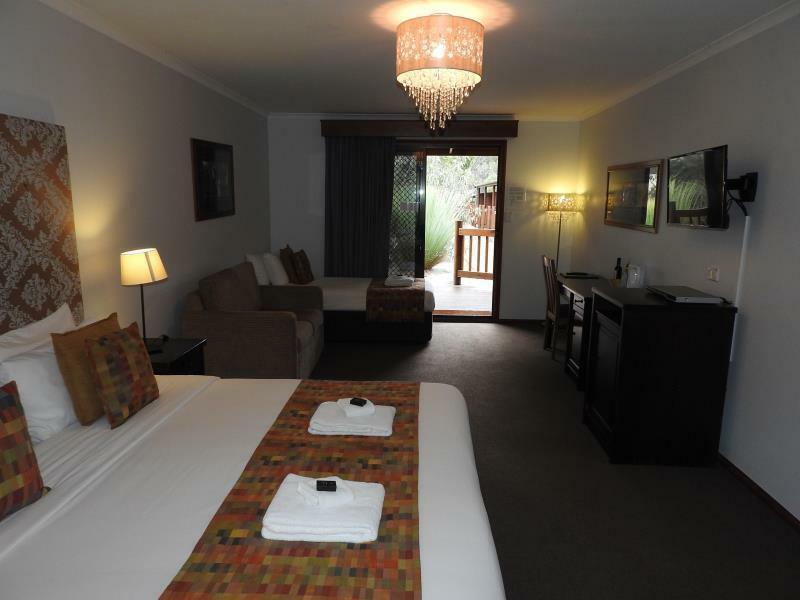 Your better off staying in Kingscote. Nevertheless, after our complain the next morning, the staff reacted in a professional way and they gave us a nice courtyard suit, which everything worked and was nice. Also they offered us a bottle of wine for the dinner, which was appreciated and equalized the horrible night before. But why it has to go this way all the time? We experienced this now a couple of times that the first day you are put in a bad room and after you complain about it, they give you a nice one. We made this experience now with a couple of bookings we made over agoda. Very pleasant stay excellent evening meal but disappointing breakfast eggs undercooked and sausage more like frankfurter, not enough room to pour coffee. Lovely location wished we had booked 2 nights so we were able to explore the area more but would have breakfast at flinders range info centre if we went again. The iron and ironing board were missing from our room and information pack advertise free DVD loan but we didnt have DVD player in our room either. These things didnt spoil stay as we were there for the wildlife. No WiFi in room and the public WiFi was slow. their furniture were kind of old yet things still neat and clean. We stayed 4 nights in the Eco lodge. 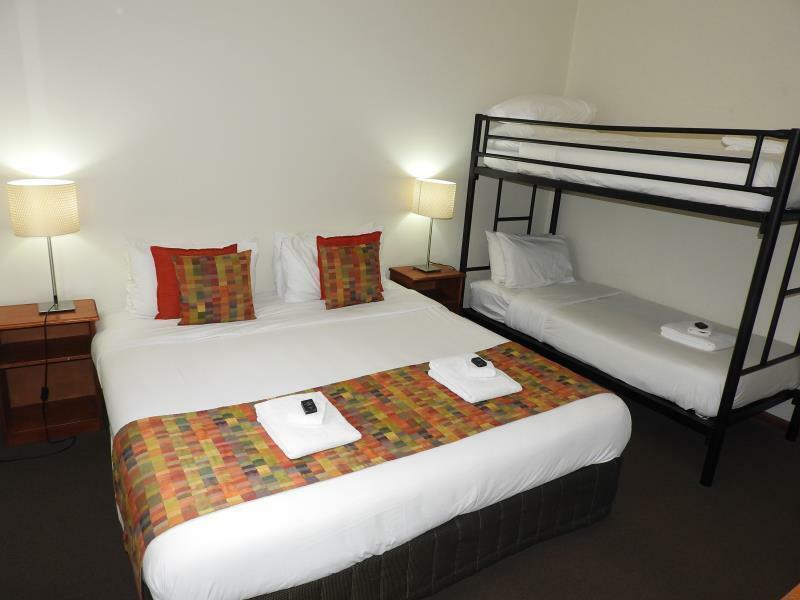 Very comfortable and well equipped with a small kitchen ( no oven). Very handy for Flinders Chase National Park and Hanson Bay. Loved our stay here. 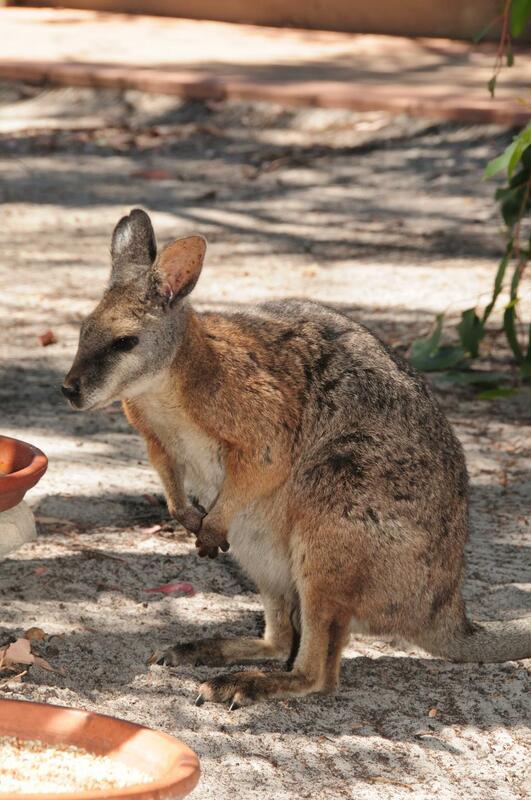 Friendly helpful staff, wallabies and koalas and gorgeous bird life everywhere, delicious hearty food. We will come again.